Born March 16, 1943, Ruth Geraldine MacCallum of Fruitvale, BC, passed away at Kootenay Boundary Regional Hospital in Trail, BC, on April 15, 2012, surrounded by loving friends. Ruth was the younger of two children of Gerald (deceased) and Thena MacCallum (née Jacobsen). She is survived by her mother and her brother, Lawrence (Margaret), and her niece Deborah (Douglas) and nephew Darcy (Victoria) and their families. As a career military family the MacCallums were posted throughout Europe and Canada. As a child Ruth was imbued with the cultures of Europe, which came together to form a woman of understated refinement, grace, class and dignity seldom seen in someone so young. This was evident to the end. Although Ruth’s formative years were spent living among old world cultures she found her heart had its niche in the rugged landscape and people of the Yukon. These memories were special to her. After receiving her BSN from UBC and her registered nursing certificate in 1968, Ruth went on to further her education with an MSc degree from Arizona State University in 1976. She belonged to the BC Association of Clinical Counsellors and numerous other associations and affiliations connected to her employment. 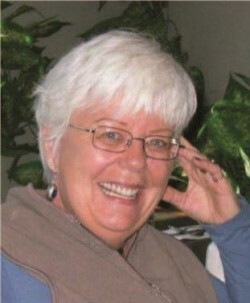 Ruth was employed in the field of mental health and practiced in Maple Ridge, Nelson, Trail and Castlegar, BC, and had just recently retired from the Castlegar office. She briefly maintained a small business, Best Options, dealing with employee assistance. Thank you to Drs. T. Toews, M. Smith and L. Scotland and their team/staff for their excellent care; the nurses and staff of Kootenay Boundary Regional Hospital for allowing her dignity; Home Nursing Services; Red Cross Loan Cupboard; and her extended circle of friends and family. There are no words to express the gratitude to her special group of friends who folded her into their arms and filled these last months with love, caring, warmth, friendship and quality of life. Thank you. We will all miss that smile as there was no truer friend.